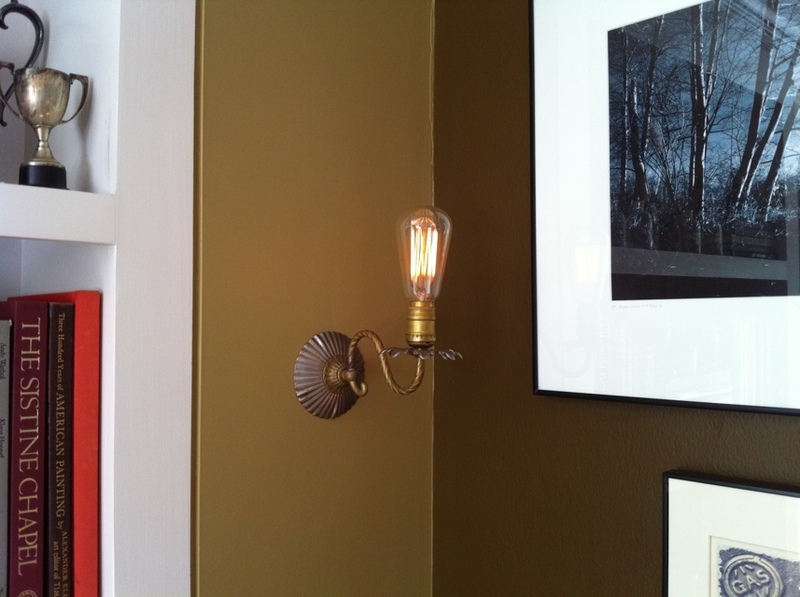 I have been selling Edison bulbs at the shops for close to 10 years now, and I am still captivated by them. They just let off the most beautiful glow. Plus the filament strands are like little works of art. I sometimes treat them as night lights, as I have done here in sconces in our living room. They are left on all the time, casting a warm glow. They also last an incredibly long time. These bulbs we brought with us from our former townhouse, and they have lasted for over 9 years and counting! I love coming home, opening the front door, and being greeted by them.